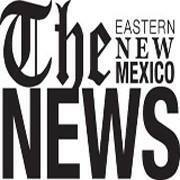 The Eastern New Mexico News site has started putting your columns behind a subscriber only paywall. When I go to it, a popup asks if I would like to subscribe or "just keep reading". I click "just keep reading" and it shows it. But, I know the internet can be a bit random. Yeah, I used to get the subscribe/just keep reading option. Now I get the option to 1) log in if I am a subscriber or 2) subscribe. It may be some kind of setup triggered by the user's number of views per month. I think there is a limit per week. Also, I think the limit is 3.